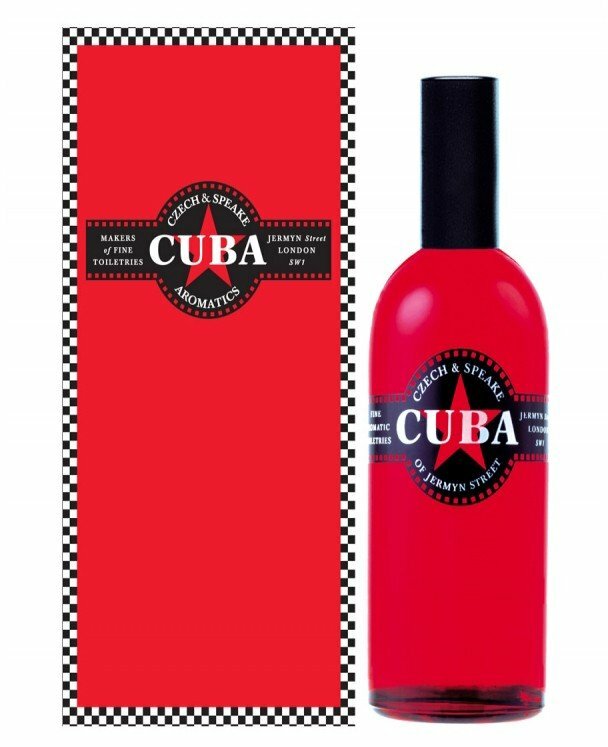 Cuba (Cologne) is a perfume by Czech & Speake for women and men and was released in 2002. The scent is spicy-woody. It is still in production. The name alone makes Cuba a fragrance that inspires dreams. Free, spicy and a touch of revolution is in the air. The fragrance starts like a good mojito. Herb-minty and so not sweet at all. A touch of freshness accompanies the mint and immediately also an incredibly masculine presence. The impression of something bad or even fecaloid, which the previous speakers mentioned, I can't sympathize with. After the mint fades away, which happens relatively quickly, the scent develops towards tobacco. In my mind's eye the wide green mountains of the island arise. The fragrance reminds me of this magical moment when you are lucky enough to enter a room-sized, well-assorted humidor, like those found in exquisite cigar shops. Spicy, moist aromas play around the wearer in this stadium. Then slowly comes the consistently spicy-bitter remaining base note which remains very tobacco laden. She stays about 6 hours, 5 of them with good silage and strong presence. The scent smells of fresh, noble cigar, one could even guess this pure and fine honey note, which accompanies good unlit cigars. Cuba is for me the most masculine scent I know and since I found it it mutates to my signature scent for the autumn. Thanks for reading, have fun discovering this striking beauty. Damn, what's sticking to my wrist? Recently at Wigger, the only "Tante Emma - Nischenparfümerie" in the whole of NRW (since Schnitzler was sold to Douglas), I asked the owner for a tobacco-heavy men's fragrance. His first idea wasn't bad, but it was still too "wintry" for me. Then it was Cuba. A sprayer on the test strip and? ...I don't know. Best I spray it right on my wrist. Man what's the bottle ugly - no matter. So bsst, bsst, bsst (Mr. Wiggers look reveals that it was at least 1 bsst too much) and? ....still don't know. A sour green tobacco note with an indefinable confusion appeared at first. But then it got really old Cuban and Fidel Castro himself seemed to be ghosting through the Wigger perfumery. Well, the point goes to Cuba, I thought. Thanks a lot to Fidel, too, now this sh....................................................... on my wrist. Now I got the salad. And Fidel, cool as a fiddle, takes cold cigar ashes from his olive green guerilla jacket. Okay, I want to believe it was the cigar ash! After the "fartiness" has vanished, and that lasts about 2 minutes laaang, Cuba becomes really good. A very dark, extra bitter and moist tobacco scent with a hint of lime and mint spreads. A fragrance that can't be more masculine. And while I still philosophize with Mr. Wigger about God and the perfume world, the purchase decision has long since been made. In the next days I wore only Cuba and enjoyed his beautiful tobacco heart. Too bad this one can't be preserved. In the base the tobacco and also the mint fades. The lime becomes clearer, even vetiver, clove and a hint of rum I was taking. The whole works now, without the "tobacco dampness" quite easily and dryly. Especially the lime seems to have fallen from the tree and dried by a merciless sun, even before putrefactive bacteria get wind of it. All in all, I find the basis somewhat boring and powerless. Too bad! Balance: Cuba starts (after Fidel's small Malör) very tobacco heavy - "old Cuban" from 0 to 10 points. And that, although Fidel didn't even light his cigar. Sun-dried fruits, grasses and herbs then displace tobacco - point drop to 7! Since "Cuba fragrance" with his golden heart can also give an impression of "Cuba country", he gets 8.5 points from me. The shelf life is still very good when the silage drops steeply. In addition I would like to mention that I dare 6 - 8 sprays on the forearm and the smell sticks then in the Behaarung. Makes 4 points for silage and 9 for durability. I have now come to appreciate the simple, even poor design of the bottle. A fancy bottle would be inappropriate. The old "Kuba-Land", which was skillfully staged, is simple and beautiful, but certainly not chic. So 8 points for the flacon. At the time the Bodeguita del Centro probably wasn't even listed in the Lonely Planet guide - but I wouldn't have looked anyway, I wasn't there for touristic reasons alone. I have never been to Cuba, I only know the Caribbean from the Atlantic coast of (central) America, but it's all Latin America after all. Lime, peppermint, and rum waft from a neighbouring table only to be drowned in a Coke. The wooden furniture creaks, someone lights a cigar (actually, at the time it could have been me), and what's that - a rose buttonhole? Shouldn't it be a carnation ... and do those even grow in the tropics?! The band is applauded and eventually crowned with aromatic bay leaves. He picks a stalk of peppermint. He opens the bottle of rum and pours in. He twirls the peppermint between his fingers. The bottle is open, the rum is evaporating. He takes out a cigar. He rolls it between his fingers. He is sitting in the sun. He is sitting on wood. The tobaco and the peppermint and a slug of rum. The rest is warm air, since it is to warm for a revolution. 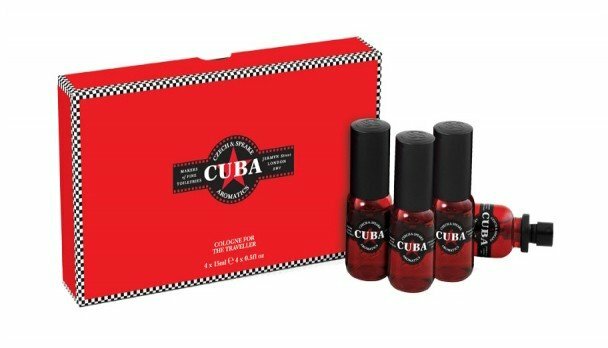 Write the first Review for Cuba (Cologne)!